The Rebel Sweetheart. : Hot Water, Cold Winter. It's 1°C in London today, and I hope Mum's asthma isn't acting up. In Seoul, where my husband is currently based, the temperature has dropped to -9°C. No wonder he was sneezing and coughing the last time we talked on Skype. And in Calgary, the temperature has dropped to a freezing -17°C, with light snowfall to boot. A friend of mine arrived in Alberta a few weeks ago. Together with her husband and daughter, they decided to leave the Philippines and migrate to Calgary for good. For someone who has lived in a tropical country all her life and loves the sun, sand, and the sea, adjusting to the Canadian way of life during this extremely cold winter season must be tough for her. Good thing the house that they're staying in right now is equipped with Hot Water Tanks Calgary. I'm pretty sure anyone living in the Northern Hemisphere would have water heaters installed in their homes. Without hot water tanks, doing the laundry, washing the dishes, or taking a bath can be pretty difficult. At times, even the simplest task of washing your hands seems impossible, if the water coming out of the faucet is as cold as ice. I hope my friend and her family survive their first winter in Calgary without anyone getting sick or anything. And I hope she still gets to enjoy long warm baths, too. Wow they must be going through a bit of weather shock!! !We have some friends who move up from the south this summer-- So far its been a pretty mild winter for the Buffalo area---so its NOT been too bad, but we tell them just wait for our FIRST GOOD SNOW FALL! 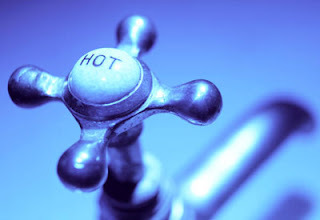 !--I cannot believe there are home with out hot water tanks!!! you'd think it would be code for building. No hot water heaters here in Phoenix, but I'll tell ya what, if I ever...EVER...had to move somewhere cold you know I'd be installing water heaters,fire places, coal burning stoves, wood burning stoves, regular stove stoves, and anything else that would burn hot within a one foot radius of me! 1 degree?! I've never been anywhere less than 20 degrees and that was only once! God bless your friends, may the Gods of hot water be there friends forever! Ah yes, I remember very well both Seoul and London winters! I kinda miss them though now that we have weather only in the high teens here in Doha. I do love having COLD water though which is something we never have in the summer! !